Zak is a 22-year-old male with Down Syndrome who escapes from the retirement home he is forced to be in, in the hopes of meeting his Wrestling hero. This Film has an enormous amount of heart with one of the most touching stories. The Script is tight with some of the richest characters who have been cast to perfection. 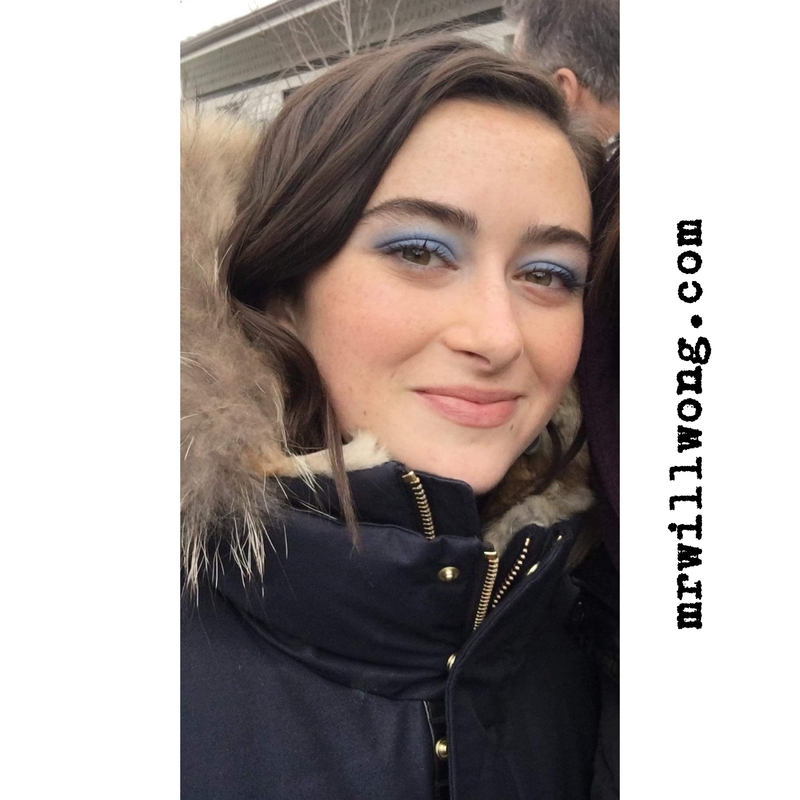 The Cast includes Dakota Johnson, Thomas Haden Church, John Hawkes, Bruce Dern and the anchor of the Film Zack Gottsagen who plays Zak. However, the most moving performance is from Shia LaBeouf. He’s completely dedicated and extremely authentic in a different role than we have seen him in before. The Peanut Butter Falcon screens at SXSW on March 9 at 8 PM at Atom Theatre, March 12 at 4:45 PM at Alamo Lamar D and March 13 at 5:15 PM at Stateside. 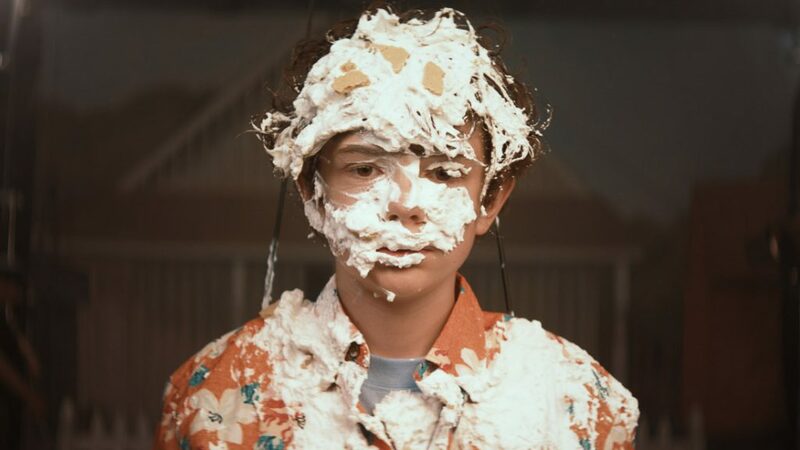 Honey Boy is the impressive screenwriting debut of Shia LaBeouf and is an autobiographical depiction of his relationship as a child actor with his emotionally and physically-abusive, alcoholic father. This is an emotionally-driven film that features enormously-powerful, layered performances from its three leads. First and most memorable is LaBeouf in the role as his own father. He throws himself into this portrayal even further than his prior work making this standout. Then there is Noah Jupe, who plays LaBeouf as a 12-year-old child actor. Jupe’s performance is truly heartbreaking and his scenes with LeBeouf are raw. Finally, there is Lucas Hedges as LaBeouf in his 20s. Hedges becomes the PTSD effected Shia during his stay at a court-ordered rehab. There is no trace of Hedges because he captures LaBeouf stance, walk and voice inflections. Honey Boy screens at Sundance on Jan 25 at 3:30PM AT Eccels PC, Jan 26 at 12:15PM at Grand SLC and 10PM at Redstone 2, Jan 27 at 9:15PM at Ray PC, and Feb 2 at 11:30AM at The MARC PC. #TIFF17: DAY ONE SIGHTINGS – SHIA LABEOUF, TIMOTHÉE CHALAMET, STELLAN SKARSGÅRD + MORE! Opening Night Gala at TIFF ’17 is Tennis Drama BORG/McENROE. 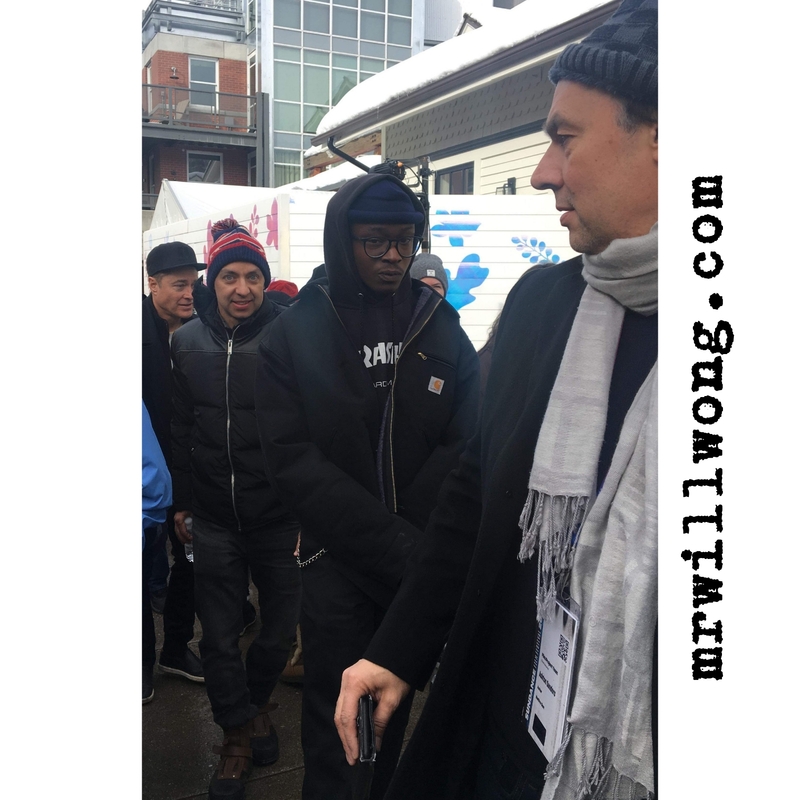 While its star Shia LaBeouf often is known for trouble in the news, he was all a gentleman for fans waiting for him at the Film’s Press Conference, walking the line signing autographs and doing photos-with. While it rained on his way out, he insisted on walking umbrella-free despite a Handler trying to keep him covered. Later in the day, we spotted his iconic Co-Star Stellan Skarsgård, father of Alexander and Bill, the latter destined for Box Office glory starring in Stephen King’s IT this weekend. Opting to slip early out of his Premiere, he stopped for a quick Photo before heading out for a bite. Armie Hammer and Timothée Chalamet are gaining huge Oscars momentum with their latest, an Adaptation of CALL ME BY YOUR NAME by Director Luca Guadadigno (A Bigger Splash, I Am Love). The Trio walked the Red Carpet tonight for the Film at Ryerson Theatre and were amazing, causing quite a commotion! It’s not every day we see Eminem in Toronto and today was supposed to be our lucky day! The Actor/Rapper produces BODIED from Music Video Auteur Joseph Kahn and was slated to appear at its Premiere at Ryerson tonight but cancelled late. More tomorrow. We are expecting a bigger day! Star (Sasha Lane), a teenage girl from a troubled home runs away with a travelling sales crew that drives across the American mid-west selling Magazine subscriptions door to door. 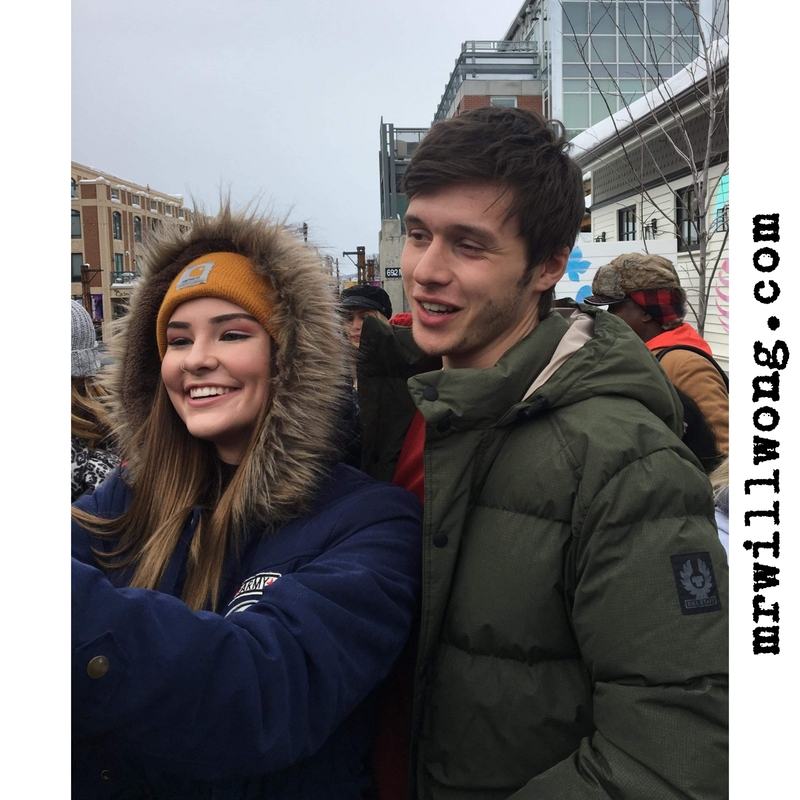 Finding her feet in this gang of teenagers, one of whom is Jake (Shia LaBeouf), she soon gets into the group’s lifestyle of hard partying, law-bending and young love. To enter to win, click “like” on this Post at MR. WILL ON FACEBOOK and please indicate your City! It wouldn’t be TIFF if it weren’t divisive, right? Andrea Arnold’s American Honey should play well to the Arthouse-craving Festival crowd, although we’re unsure how the mainstream might perceive it. 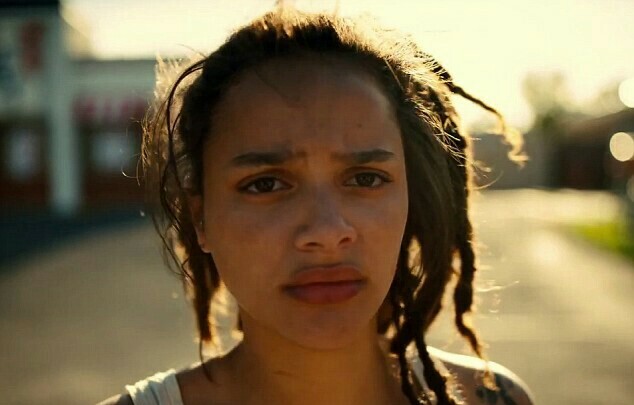 American Honey starts off by introducing us to our main character Star (Sasha Lane) and how fed-up she is with the daily grind. Whether that be her abusive and less than caring boyfriend or it be her sister’s children that she took upon herself to watch, there are things that she just wants to escape. Fast-forward a few days where Star, her niece and nephew are searching for food inside the local K-Mart and she meets Jake (Shia LaBeouf). Jake teases Star by trying to get her to join his band of misfits who sell magazines across the country. Star sees this as an opportunity to create a name for herself and she decidedly goes for it. Both Lane and LaBeouf give incredible performances here. American Honey‘s main flaw is that the Movie itself never really gives enough insight to why Star continues down her path in order to keep us invested at two hours and forty-five minutes. 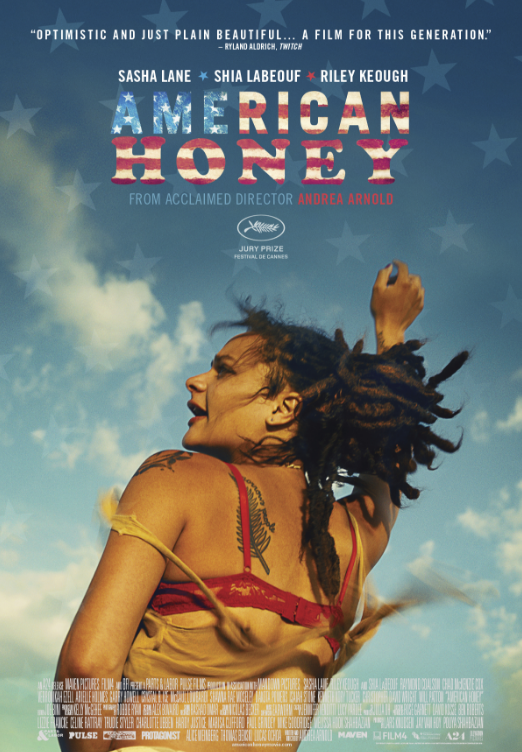 AMERICAN HONEY screens at TIFF Sunday, September 11, 2016 at 5:15 PM at Ryerson Theatre and again on Monday, September 12, 2016 at 9 PM at Scotiabank Theatre. Running from April 28 – May 8, 2016, the Hot Docs Canadian International Documentary Festival has become a public staple annually. 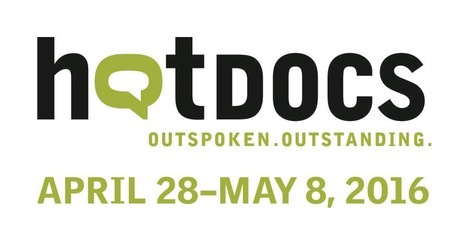 Hot Docs boasts over 200 Films this year from all around the world and over 200k are expected to attend. A brilliant piece on the infamous, iconoclast Hollywood director Brian De Palma, who is the man behind Carrie, Scarface and the original Mission: Impossible. A stunning art-film on love and heartbreak produced by Shia LaBeouf. A moving documentary on transgender men finding the right fit in a Brooklyn suit shop produced by the lovely Lena Dunham. To enter to win, simply head over to MR. WILL ON FACEBOOK and click “like” on this Post to win! 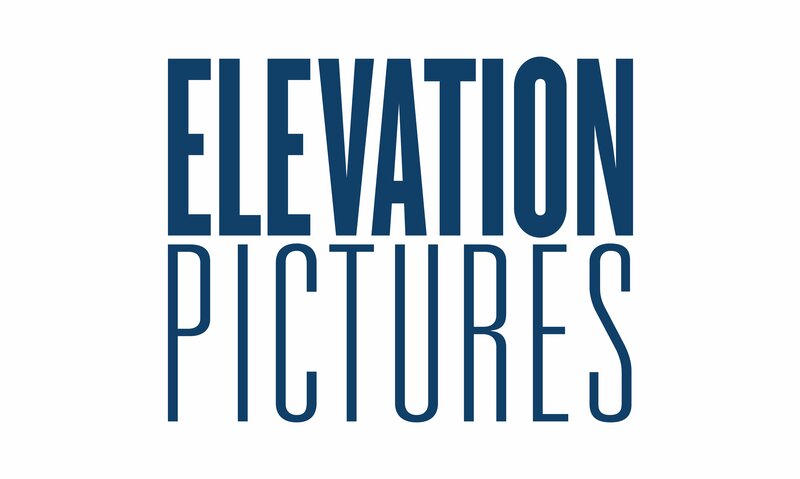 Indicate for us which Film you’d like to enter for. You are welcome to enter for all three. To learn more about Hot Docs, including how to get tickets and screening schedules, click here. TIFF ’15 is starting to wind its way down and although the star power might not be where it was this past weekend, there still is plenty to be excited about. Today we caught-up with the casts of Man Down, Room and Anomalisa. David Thewlis. The English actor gained much popularity with a younger generation for his work on the Harry Potter franchise as Remus Lupin. He is at TIFF ’15 with Anomalisa, a stop-motion animated feature directed by Charlie Kaufman and Duke Johnson. The Film won a Grand Jury Prize at the Venice Film Festival recently. Tom Noonan. The tall American actor also is here for Anomalisa, known best for his work in Manhunter and Heat. Shia LaBeouf. The controversial actor was a big hit with fans at TIFF ’15, generously stopping to greet fans at the Red Carpet of his Film Man Down, at Roy Thomson Hall. Jacob Tremblay. This young Canadian talent is mesmerizing in Room, which debuted to phenomenal response this evening at Princess of Wales Theatre. Joan Allen. The TONY-winning, Oscar-nominated actress is here also for Room, gracious enough to stop for fans at the Red Carpet. Brie Larson. 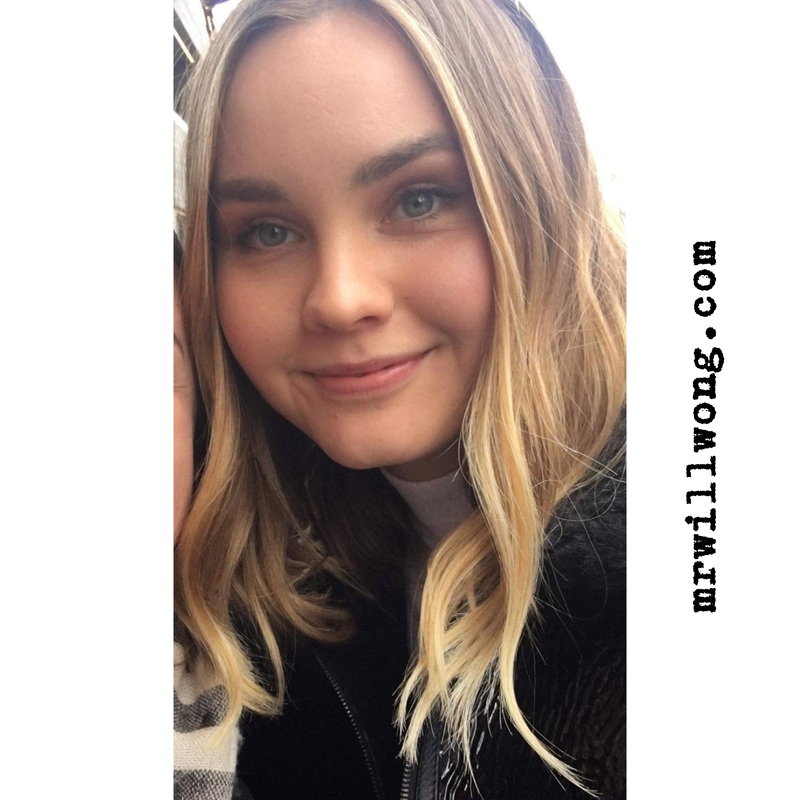 This talented young actress this past weekend at TIFF ’15 was honoured with the IMDB Star Meter Award, normally given to an actor who shows a lot of promise and buzz. 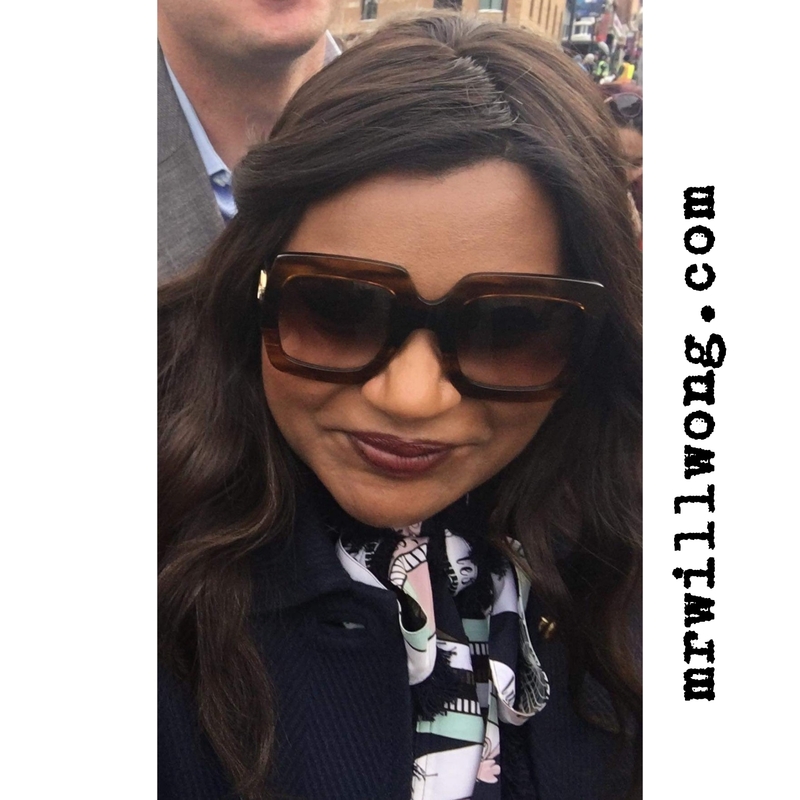 She is garnering tons of acclaim for her breakout role in Room. We loved her Red Carpet look tonight and are even thrilled after many tries, finally getting that Selfie moment with her! What would you do if Brad Pitt walked into your local Movie Theatre to introduce your Screening? Fans in New York who attended a Screening of upcoming World War II Drama FURY Tuesday night got exactly that! Watch the Fandemonium inside the theatre at AMC LOEWS Lincoln Square as Cast Members Shia Labeouf, Logan Lerman, Michael Pena, Joe Bernthal came out to introduce the Screening! The Fans had the distinction of being the first Audience in the World to see the Film. How is one to react even?! 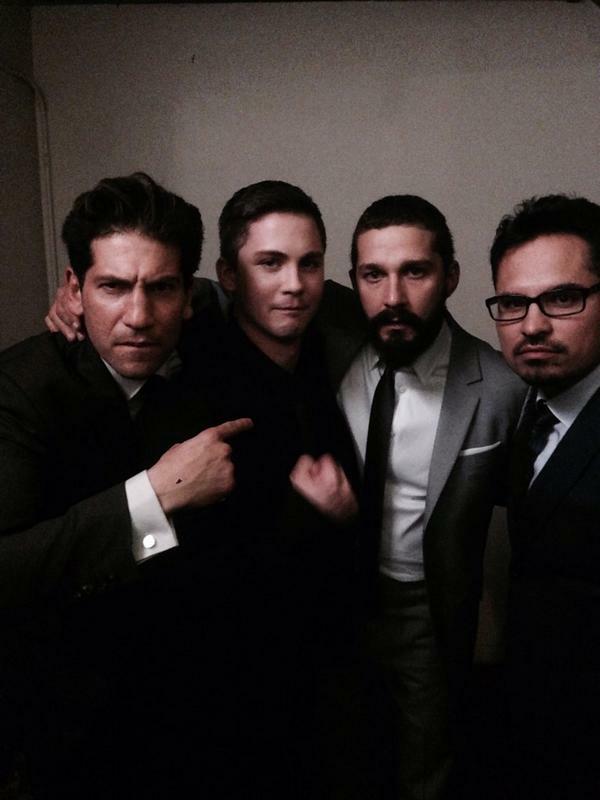 And did you see Logan Lerman‘s most epic Selfie, taken moments just before the Cast hopped on-stage? April, 1945. 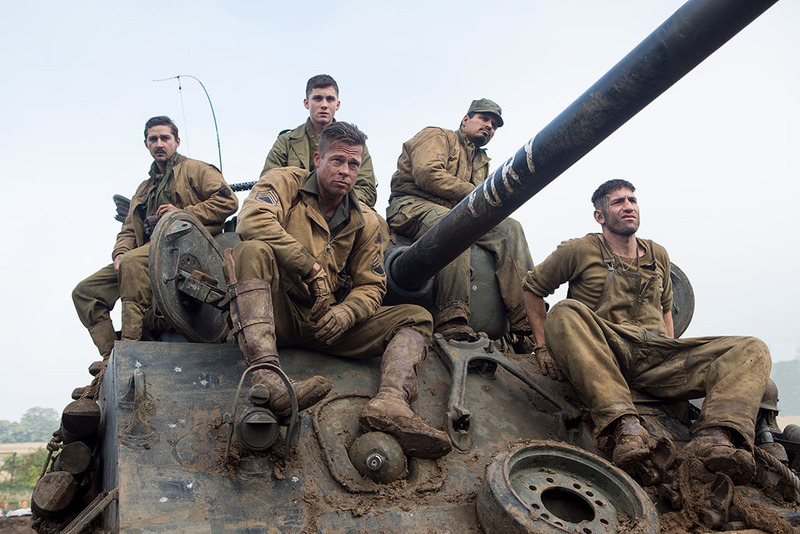 During the last months of WWII, a battle-hardened army sergeant named Wardaddy (Brad Pitt) takes command of a five-man team who pilot a Sherman tank named Fury on a deadly mission behind enemy lines. Outnumbered and outgunned, they have to defeat all odds in an attempt to strike down Nazi Germany. We’ve waited a long time to see this! Sony Pictures Canada release FURY on Friday, October 17, 2014. 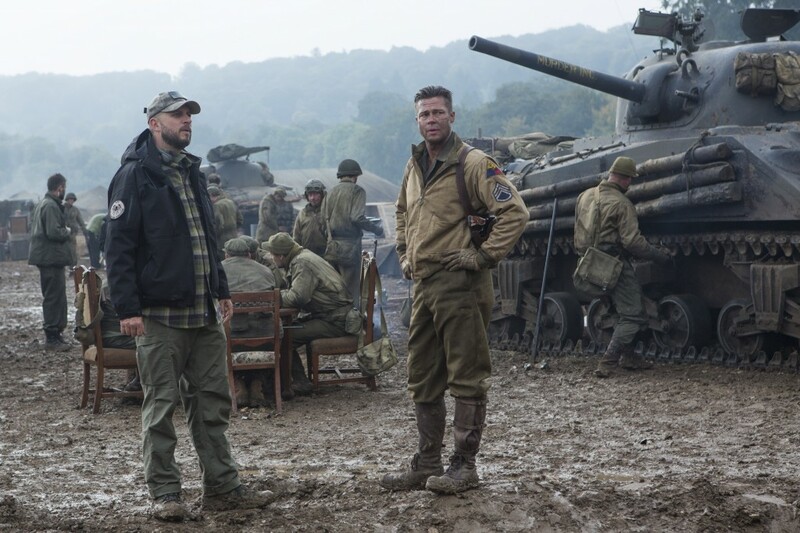 Fans of 2012’s END OF WATCH and TRAINING DAY likely will love FURY, the latest from Screenwriter/Director David Ayer. The WWII Action-Drama marks Brad Pitt‘s long-awaited return to the big screen! Shia LaBeouf and brilliant Logan Lerman, whom we loved in The Perks of Being a Wallflower also star. Hotly-buzzed Scott Eastwood, son of Clint also graces the screen. Sony Pictures release FURY on Friday, October 17, 2014.